If you live in Metro Vancouver and you have not explored one of the amazing beaches that we have access to … make this your year. Grab your towels, shovels, buckets and sunscreen and hit the beach! Named as one of the world’s most beautiful beaches in 2016. Families can enjoy the beautiful sandy beach and watch the many volleyball games during the day but be sure to hang around for dusk to really see what makes this beach shine. Take the time to stroll the walking paths and admire the sun setting over the ocean, sit on the huge blanched logs that wash up here and gaze out at the beauty. West End’s coffee shops and the iconic Stanley Park are within easy reach, and it’s a prime spot for watching the fireworks on Canada Day. 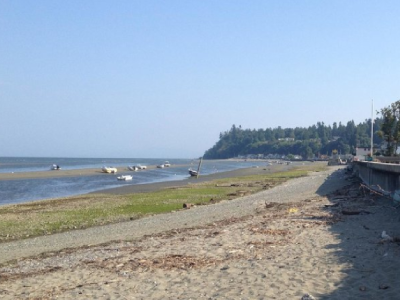 Rathtrevor Beach is one of our favourite family destinations in BC! 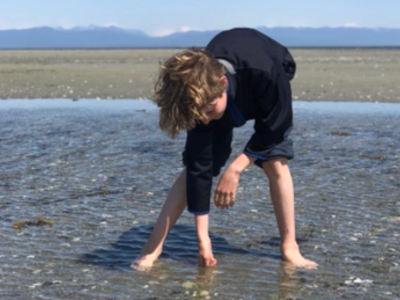 Two kilometres of flat, sandy beach stretch out forever at low tide, creating plenty of tide pools safe for little ones. We have found sand dollars and lots of shell. The kids will be busy for hours. The shady campground, hiking and biking trails, and nature programs, will round out an unforgettable family holiday. There is also mini-golf & ice cream just up the road. A great destination or a break before heading to the ferry. 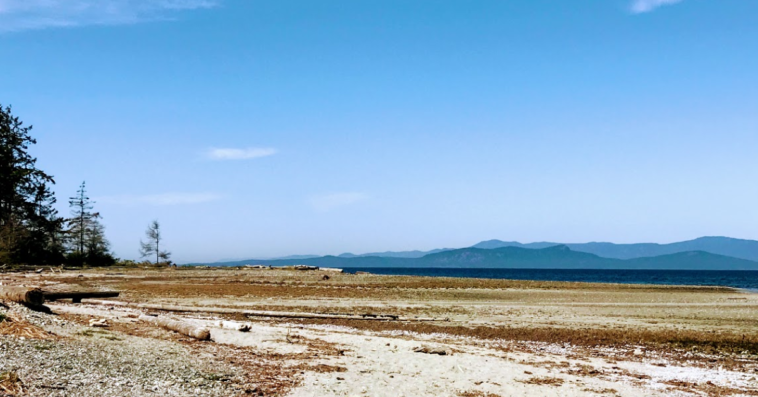 This gorgeous beach offers some of the best picnicking opportunities, swimming, beach volleyball, or just a chance to soak in the panoramic view of Vancouver and the North Shore mountains. 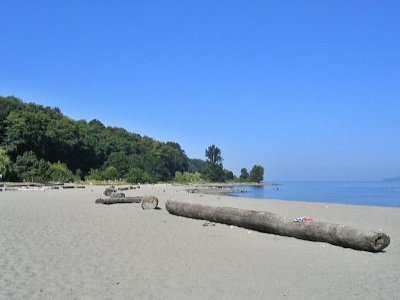 Spanish Banks tends to be a quieter beach than some other Vancouver beaches which makes it very family-friendly. 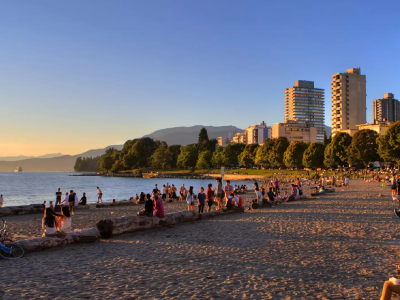 This is one of Vancouver’s most popular beaches offering panoramic views of downtown Vancouver, Burrard Inlet, and the North Shore Mountains. 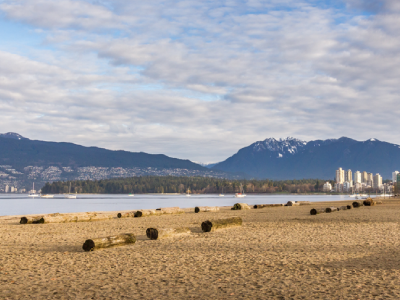 Surrounded by parkland, restaurants, and beautiful people, it’s the quintessential Vancouver beach experience. The beach is gorgeous, with a gentle slope, shallow water & plentiful space. The parking lot will get full before the beach will. Also boasts a fantastic playground! Can’t afford a tropical vacation? You can still find white-sand beaches! 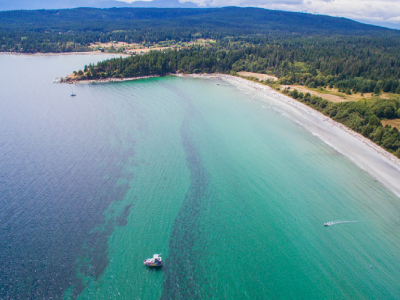 Tribune Bay on Hornby Island has more soft sand than you could ever wish for and shallow, warmer waters perfect for swimming. Looking for more family fun this summer? We have you covered with our 2018 Guide to Outdoor Pools!